In 2018, more and more companies are expected to move beyond 3D-BIM to 4D, 5D, and even 6D BIM. 4D-BIM provides the visual representation of the construction schedule. 5D BIM and 6D BIM add two properties to 3D-BIM: costs and materials. Along with the standard design parameters, details such as geometrics, aesthetics, and thermal and acoustic properties are now included in a project so as to enable engineers to see how a decision affects the costs of a design at an early stage. 6D BIM primarily focuses on the long term. The new versions of BIM maximize the return on their investment. Internet of Things (IoT) is changing the way installers and modelers function. IoT makes releasing BIM data to prefab workshops, suppliers or modelers easy. With up-to-date data, designing can be done directly using ready-to-order products that can be delivered directly to the building site. Virtual and Augmented Reality (VR and AR) are bringing in huge transformations in the construction sector. Virtual Reality, as it enables installers to examine extensive 3D models through glasses, make it extremely suitable for giving project presentations to the client. Augmented Reality is going to come up as an excellent training tool for conducting clash testing on site. With AR, the possibilities for remote management are immense. 2018 will see more focus on modular construction and prefabrication. Modular construction helps in reducing costs and accelerating the construction process as the building elements are already prepared and assembled in the workshop before the construction begins. Moving on from prefab concrete walls and floors, with time, it will be possible to prefabricate more MEP elements. Advanced software capabilities are leading to quicker assembly of components, bringing in more efficient workflows from design to prefabrication and installation. MEP engineers can now generate prefab drawings on the basis of the information available in BIM models. A trend that is now continuing through the construction sector is that more and more products can now be adapted to the user’s requirements. Modelers are free to choose the tools that they want to work with. For example, an engineer who mainly has to install valves does not require an expensive software package with all the fixings. On the other hand, there is the rising trend of using all-in-one packages and suites that offer lots of combined software functionality. More options on the way to BIM! Use of mobile cloud applications in construction will keep on making its mark in 2018. Engineers will continue to gain access to real-time data via tablet, smartphone, and computer. Real-time data from construction and design process can be simultaneously viewed by different people at different locations. BIM models could be easily shared with the building site and report from the building site could happen quickly, facilitating a productive collaboration. In 2018, BIM models are going to be more enhanced with data. 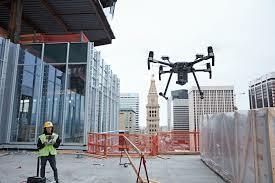 Point clouds can be created by conducting a 3D laser scan at the building site. This scan provides accurate 3D dimensions of the building site and the data aids in creating the BIM model. Drones will also increasingly be used in construction projects, enabling capturing real-time data which will help in creating more accurate BIM models. 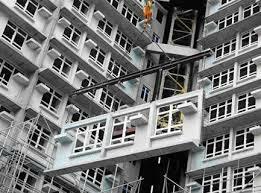 3D printing technology is making huge progress in the construction sector. The technology has great potential for creating extremely accurate building elements in a relatively short time and with a minimum material loss. 3D printing can be used within a BIM process for quickly making prototypes for sharing with construction partners or for manufacturing components and prefab material. This technology is going to develop much more in 2018. Keep a watch! 2018 is going to see more cooperation between manufacturers, suppliers and BIM software developers. New installation engineering products are increasingly becoming available for sale as BIM objects, including current product data such as article numbers and dimensions. Due to the availability of this information, products can be ordered directly from within the model. Such tools avoid duplication of work. 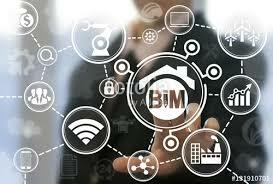 BIM is increasingly providing sustainable advantages to construction. By taking materials and energy properties into account already during the design phase, buildings can be built more energy efficient. 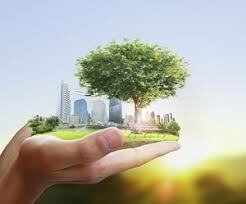 Huge savings can be made on energy costs and CO2 emission by using the right product and material. In the design phase, the dismantling of a building can also be simulated. This leads to demolition or recycling of a building with minimum effort and loss.